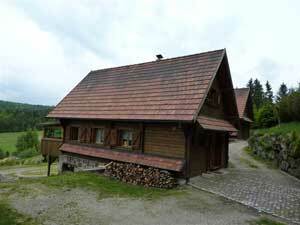 Our chalets are 12 km from Andlau (Bas-Rin, Alsace). 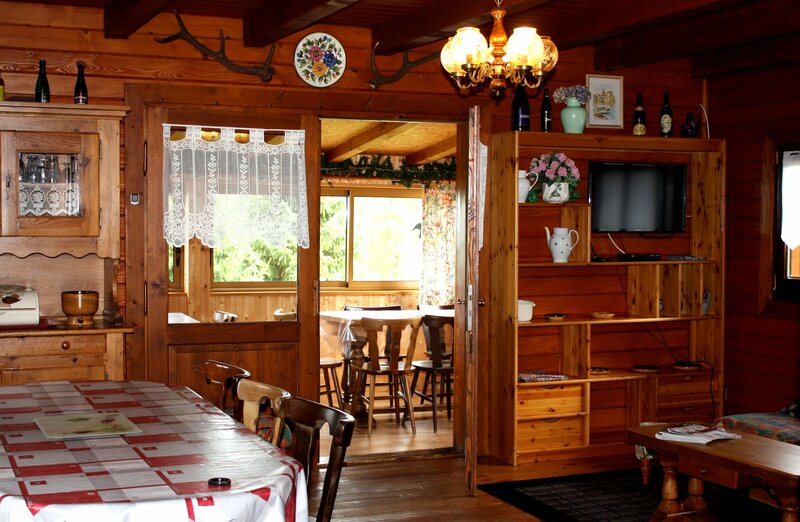 They are located in an idyllic place on the pass of Kreutzweg and they can only offer you pure satisfaction because of a magnificent view, the quietness, the proximity of the forest and especially because of the cozy, and warm comfort of the chalet itself! Chalets from 10 to 12 people are for rent to get together with family and friends for a week or a week-end. In winter the fireplace, in summer the terrace. The proximity of the forest offers the hikers many varied hikes with easy access. 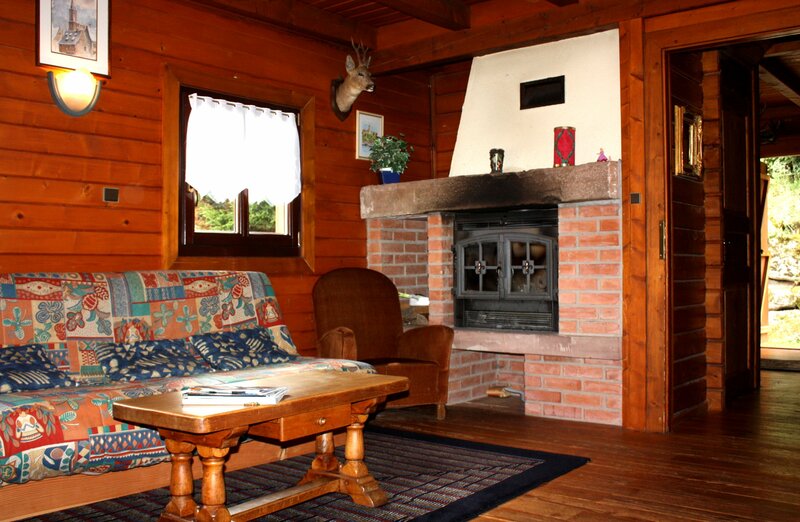 3 chalets for10 people, 140 m2 ( groundfloor, first floor and basement floor) : Chalet le Cerf, Chalet le Sapin, Chalet le Rocher. 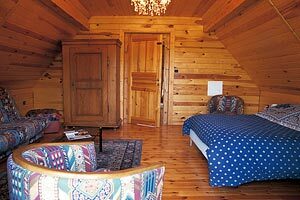 - Entrance, living room (with fireplace) and dining area. 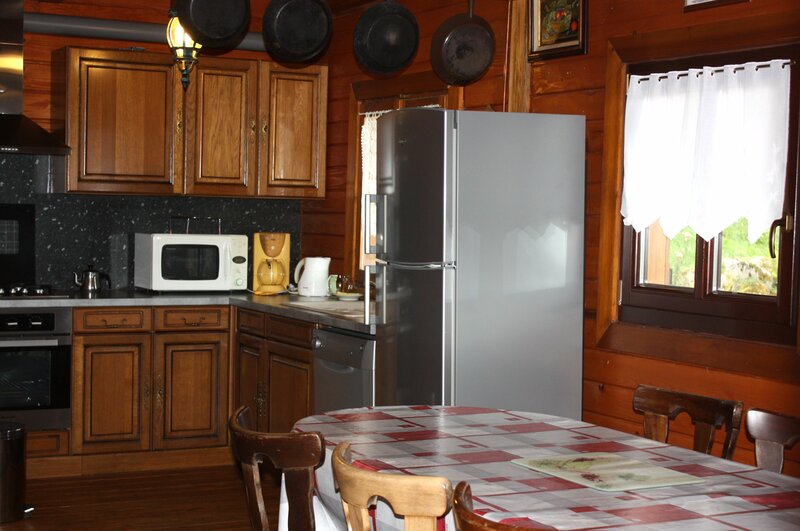 Well equipped kitchen (dishwasher, gas stove with 4 burners, electric oven, coffee machine and refrigerator). - A shower and toilet. - A toilet on this floor. 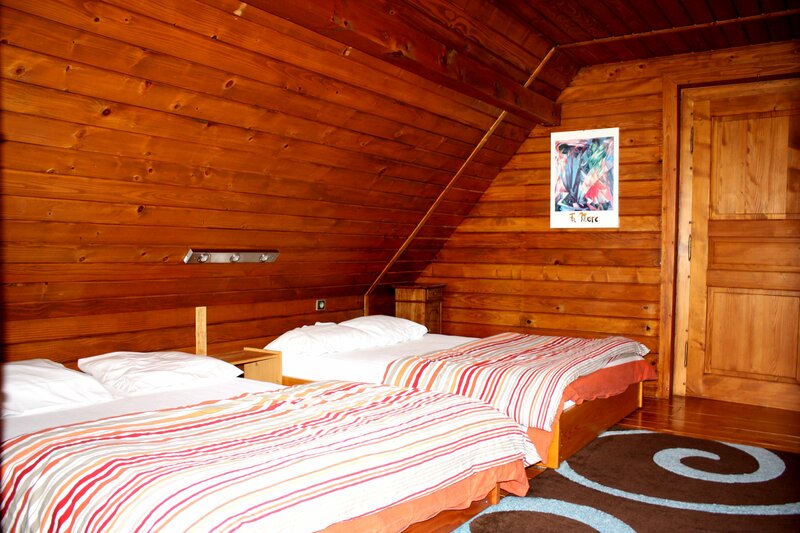 - A bedroom with a double bed (2 X 90 cm) and a single bed ( 90 cm) Separate shower and toilet. - Baby bed and chair on request. - Adventure park at 100 meter distance. - Cross country skiing locally and downhill skiing (for beginners) at 4 km. distance. - Tenniscourts in the village. - Mountain-biking and a swimming pool at 15 km. distance. 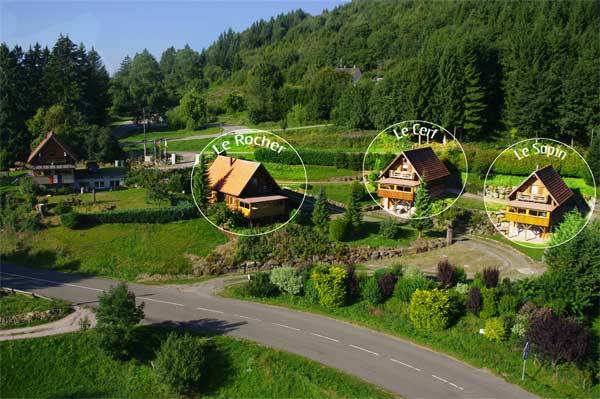 Le Hohwald : green meadows,surrounded by firtrees and majestic beech trees, unique for the Alsace region. Clear, clean air and fantastic views. It is possible to walk the GR5 120 km. (grande randonnée) and other marked hiking trails, mountain climbing on the Rocher du Neuntelstein(4km), mountain-biking and there is a paragliding school in Breitenbach. Crosscountry and downhill skiing are possible locally within a 10 km. radius between 650 and 1100 meter altitude. Vacation checks or paying with a bank card are not accepted. 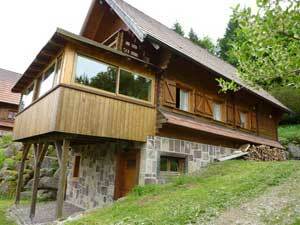 Domestic animals are welcome (5 € per day) but it is forbidden to leave the animals alone in the chalet.